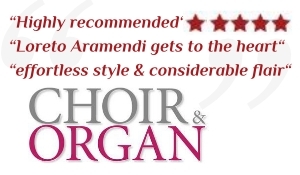 „Highly recommended“ […] „Never heard the Cavaillé-Coll of St Ouen handled so adeptly“ […] „Loreto Aramendi gets to the heart of all these pieces with effortless style and considerable flair“ […] Louis Robilliard provides masterful arrangments of works including Rachmaninov’s L’île des morts and Fauré’s suite Pelléas et Mélisande. 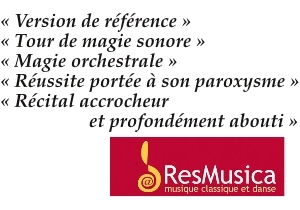 Transcriptions by Louis Robilliard. 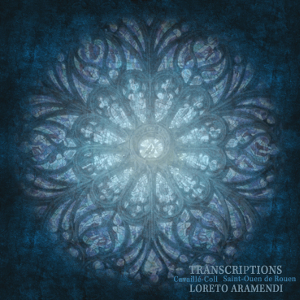 Loreto Aramendi plays Camille Saint-Saëns, Sergei Rachmaninov, F. Liszt, J.S. Bach, Richard Wagner and Gabriel Fauré at the Aristide Cavaillé-Coll (1890) pipe organ of the Saint Ouen Abbaye of Rouen (France). 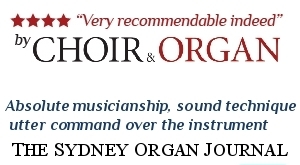 Excellent review of the double CD by “Organists‘ Review” – December 2016 (reviewer : David Baker). 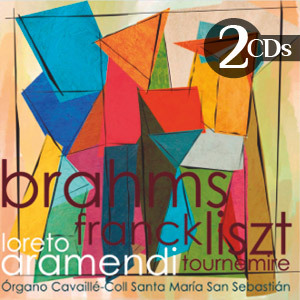 Loreto Aramendi plays F. Liszt, C. Franck, Ch. Tournemire and J. Brahms at the gran Aristide Cavaillé-Coll pipe organ (1863) of the Santa Maria Basilica in San Sebastian (Basque country – Spain).